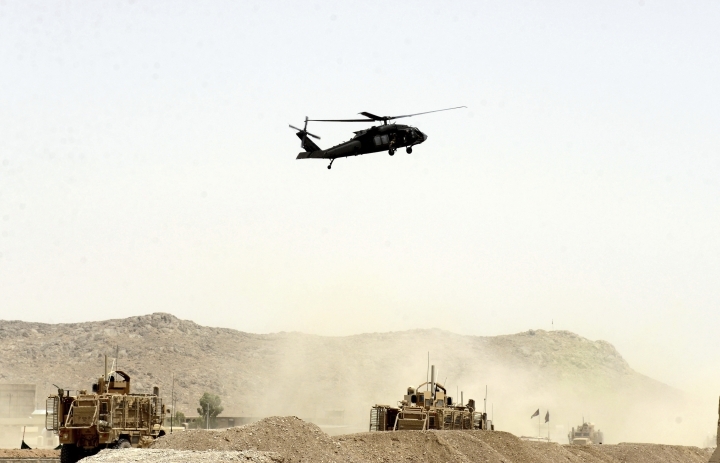 The Pentagon says that two U.S. service members were killed in an attack on a NATO convoy near Kandarhar in southern Afghanistan. Eyewitness Ghulam Ali, who runs a mechanics shop near the attack site on the outskirts of the city of Kandahar, says he saw a military vehicle on fire on the road. He says helicopters arrived and he saw soldiers being taken away from the scene but could not determine the extent of their injuries. Thousands of angry residents carried the bodies of 31 people who died in a horrific suicide attack on a Shiite Mosque in western Herat. Meanwhile, the Islamic State group on its affiliated Amaq news agency, took responsibility, according to the SITE Intelligence Group. 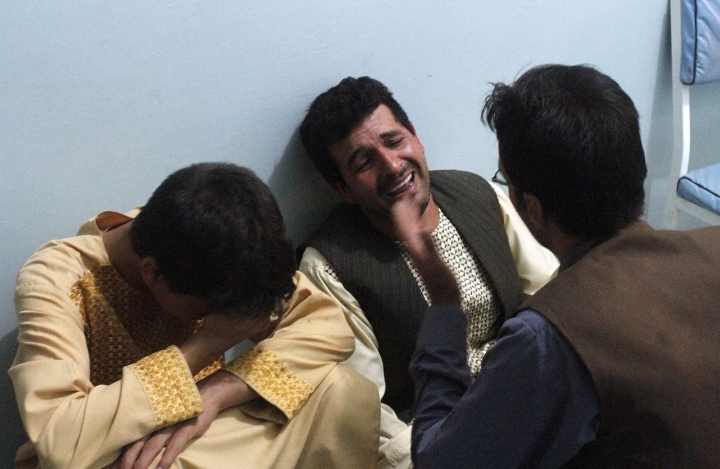 The provincial governor's spokesman Jilani Farhad said the death toll had climbed to 32 and another 66 worshippers were wounded when a suicide attacker stormed evening prayers at the Jawadia mosque in Herat on Tuesday evening. He sprayed bullets at private security guards outside of the mosque before entering and firing into the crowd and then detonating his explosives. There was a second explosion 10 minutes later but it is still not clear where that took place, with some witnesses saying a grenade was thrown into the mosque. The bodies were brought near the provincial governor's residence in a large freezer truck. Protesters demanded the people behind the brutal assault be arrested. The Taliban have claimed responsibility for a suicide bombing attack earlier in the day on a NATO convoy in southern Afghanistan. Qari Yusuf Ahmadi, Taliban spokesman in southern Afghanistan, claimed two armored tanks were destroyed and that 15 foreign soldiers were killed in Wednesday's attack on the outskirts of the city of Kandahar. The insurgents, however, routinely exaggerate their gains and death tolls. 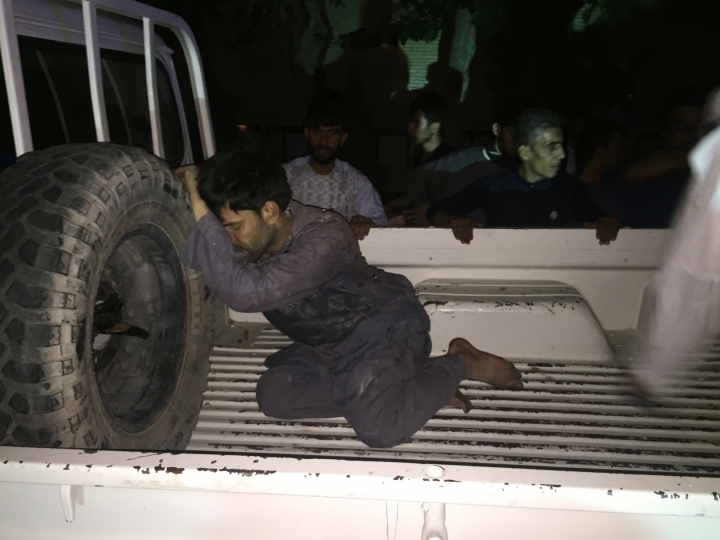 Ahmadi identified the suicide attacker as Taliban fighter Asadullah Kandahari from southern Kandahar, saying he was a "hero" who carried out the attack with a small pick-up truck, packed with explosives. Kandahar province was the Taliban spiritual and leadership headquarters during their five-year rule that ended in with the U.S. invasion in 2001. 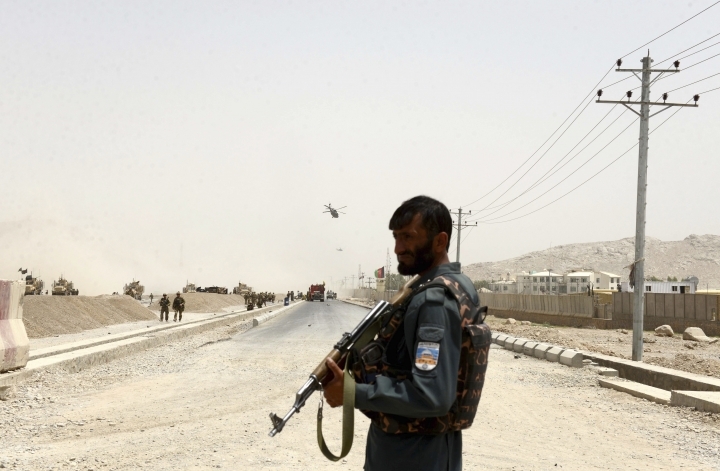 An Afghan police official in Kandahar says a suicide bomber has hit a convoy of international troops on the edge of the southern city. There were no immediate reports of casualties. U.S. military spokesman Lt. Damien E. Horvath told The Associated Press in Kabul only that they were trying to collect information but so far had no word on whether there were casualties. Afghan authorities have tightened security ahead of a mass funeral for the victims of last night's suicide attack at a Shiite mosque that killed 29 people. 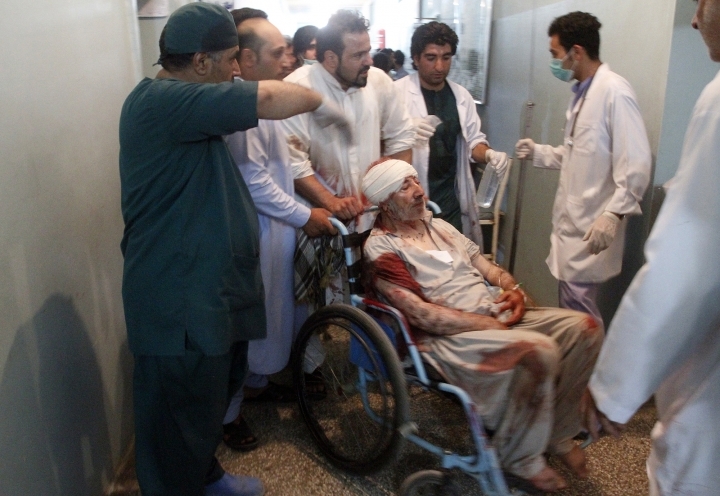 No one has claimed responsibility for the bombing in western Herat province but it came a day after the Islamic State group warned it would attack Shiites.